Over the Border – Run. Ride. Roam. Moving on, moving on, moving on again. We prepared to leave our friendly hotel in Menin and as we did, we had a nice chat to the proprietor. He asked about our trip and we told him about our journey so far. When we said we’d been to Spain, he said he had lived in Malaga for 22 years and he and his family return there periodically for the nice weather. We said we could understand that. They had moved to Belgium because his son wanted to learn Dutch and, as the family only speak French and Spanish at home, they had moved in order for his son to go to a dedicated school for learning Dutch. What a huge decision and change, in pursuit of language acquisition! We pedalled out of town and within 2km, I started to see a difference in the signage on shops. We looked around us and yep, sure enough, without sign, symbol or fanfare, we were back in France! Time to switch languages again! We rode on and I looked around at various signs and shops, thinking ‘I remember that!’, ‘Oh, I’d forgotten that supermarket!’, ‘Oh, there are some words I recognise!’ We passed a man riding his bike. “Bonjour,” I said, as I pedalled by his shoulder. “Bonjour,” came the reply. Aah, back in action! I like it when I get a reply, because at least I’ve been understood! We called into a supermarket for some supplies, before everything closed at 12:30 and I navigated the checkout in French, but then I called into a different market and had to resort to my script. I saw some muesli bread at the bakery counter, that I knew Steve would like. “Bonjour Madame,” replied the smiling girl behind the counter. “Pain muesli,” I asked, pointing to the loaf behind the glass. Something, Something, Something, Something, Something, Something, came her smiling reply. Right, I’d hit my limit! I didn’t understand any of that, so time to recite the script… “Désolé, je ne parle pas français,” I apologised. “Sliced?” came her immediate English translation, with appropriate hand gesture to further assist me. “Oui,” I replied with a thumbs up gesture, just for good measure, to assist her in understanding my Australian French. In the end, I walked out with a nicely sliced loaf of muesli bread for Steve, and another full immersion French lesson. Great! We stopped at a table, behind what looked like a hardware store, in a new looking shopping estate and had elevenses. Steve added a fleece, to provide another layer against the chill and then we were off towards Lille. Lille was the destination because of its train station. 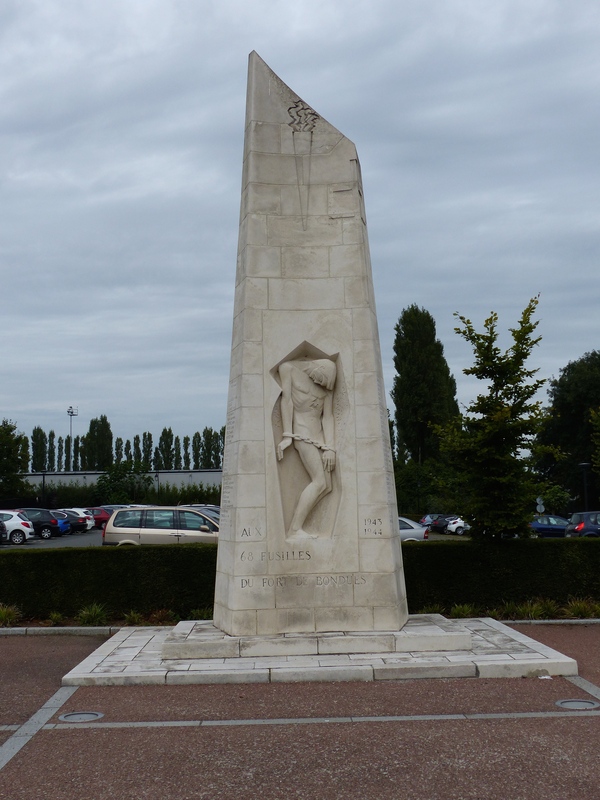 We are going to take a train to Armentiers so Steve can visit the grave of his great great uncle, who fought and died in World War One. The train station also gives us some options, should we decide to do some leap frogging to warmer climes. 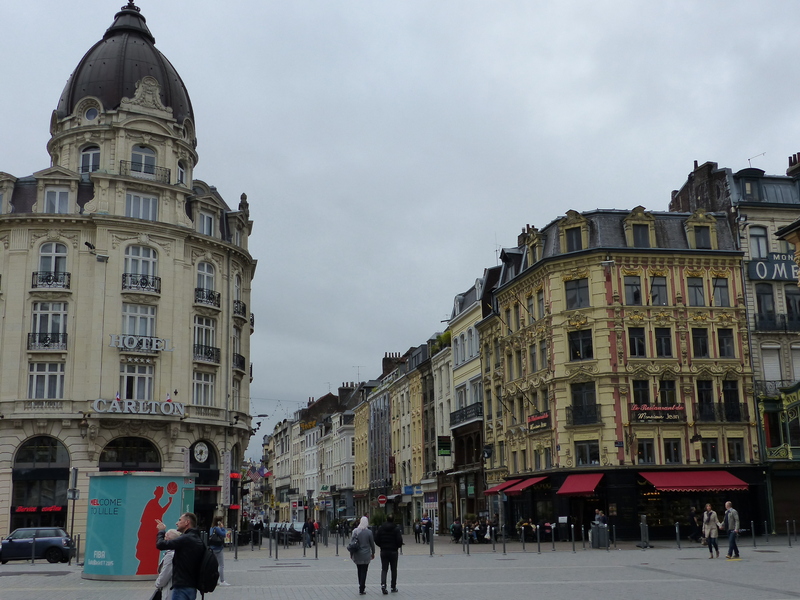 We rode into Lille and had a quick look around the historic centre. Then we had a message to say our accommodation was ready, so we rode off in search of it, just as the rain started to come down. Good timing! 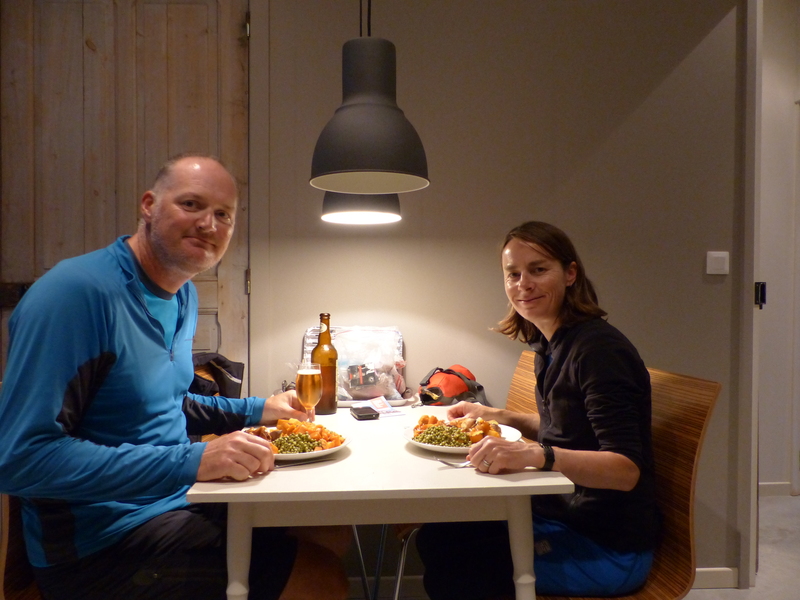 We found our accommodation, our first use of Airbnb. The very nice owner had provided us with all the entry details, so we could let ourselves in and settle ourselves into the apartment. All I can say is, this is a real treat! It’s not a treat because its fancy or posh or expensive, it’s a treat because it’s a home! It’s a small, ground floor apartment with a courtyard and very nicely styled inside. It’s sparkling clean, has lots of little touches to welcome guests and it’s a real home! It has a lounge room, with a couch! It has a kitchen! With a stove and, something we never get to use…an oven!! We are beside ourselves! Steve pointed out that this is the first time we’ve been in a home, together, just the two of us, since we left Australia over six months ago. Oh, the things we took for granted that we now look at with sheer joy…a dishwasher!!! No washing dishes in shared sinks, with bits stuck to them, in campsites…a dishwasher!!!! Did I mention the oven!!?? Oh, and a fridge! With a large, complimentary bottle of beer chilling inside. Steve grinned! “I’m just trying to pause between mouthfuls, to stop myself from inhaling the whole plate!” I said. “Too late for that with me,” replied Steve, with his plate now half empty. It was super, a real treat, a Sunday roast in a home, at a table, with real plates and knives and forks and sitting in a proper chair. Bliss! Then we added to the treat with dessert and I dished Steve up a bowl of apple pie and custard and I had banana custard (rice milk custard) and we grinned and grinned and grinned as we savoured every mouthful and took in our lovely, homely environment. P-E-R-F-E-C-T!! That was the day. Another Go-Slow-Sunday with a mere 25km ride, but it was super duper! We began to get back into the swing of things with our French, had some more friendly encounters and then ended the day at a lovely home. We sat and watched the rain pour down outside, cosy in the little apartment, with bellies full of delicious food that we don’t normally get to eat (thank you oven!) and we feel very spoiled by this wonderful treat. Once again, it’s the simple things that have made the day special…nice people and the simple pleasures of nice food, a table, a couch and a kitchen! Simple, but so appreciated! Just try and wipe the smiles off our faces!